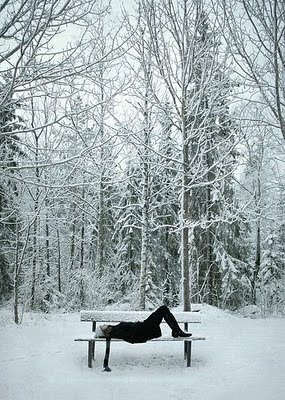 Enjoy the beautiful snow and all the peace that God brings with it. Recognize where I am in my life, at this moment, and that I alone have put myself here. Drink a glass of wine. In the middle of the day! (Yup, I still Love Jesus!) Imagine that ! Hey, I've got to get going... I have lots to do ! Mine is similar and guilt free even! :o) Wishing you a very happy new year. That sounds like my kind of day except the getting dressed part.